Compatible con las siguientes referencias: Toshiba: PA3467E-1AC3, PA3467E-1ACA, PA3467U-1ACA, PA3097U-1ACA, PA3396U-1ACA, PA-1650-01, PA-1650-02, PA-1900-15, ADP45CB, ACE83-110087-3100, ACE83-110114-7000, ACE83-110114-7100, ACE83-110128-0200. Asus: A2L , A2, A200, A200LP, A2C, A2H, A2L, A2LP, A3Ac, A3E, A3Fc, A3Fp, A3G, A3H, A3Hf, A3L, A3N, A3Vc, A3Vp , A3, A3000, A3A3G, A3E, A3FP, A3H, A3HF, A3L, A3N, A3VP, A3000A, A3000Ac, A3000E, A3000H, A3000L, A3000N, A3A, A3Ac, A3FC, A3VC, A5E , A5A, A5E, A5EB, A5EC, A6F, A6G, A6Jc, A6Kt, A6L, A6Ne, A6R, A6Rp, A6U , A6V, A6Va, A6Vc, A6Vm, A6, A6000, A6000G, A6000Ga, A6000K, A6000L, A6000N, A6000Ne, A6000U, A6000V, A6000Va, A6000Vc, A65, A6A, A6F, A6G, A6GA, A6J, A6JA, A6JE, A6JN, A6K, A6L, A6N, A6NE, A6R, A6RP, A6T, A6TC, A6V, A6Va, A6VC, A6VM, A6000Rp, A6U, A7, A8E, A8F, A8Fm, A8H, A8He, A8Ja, A8Jc, A8Je, A8Jn, A8Jr, A8Jv, A8M , A8, A8E, A8F, A8FM, A8H, A8HE, A8TM, A8Z, A9Rp, A9T , A9, A9RP, A9T, B50A, C90, C90S, F2F, F2Hf, F2J, F2Je , F2, F2F, F2HF, F2JE, F3F, F3H , F3, F3F, F3H, F3JA, F3JC, F3JM, F3JP, F3JR, F3Ka, F3Ke, F3L, F3Q, F3Sa, F3Sg, F3Sr, F5M, F5R , F5, F50, F50Sf-A1, F50Sf-A2,F50SV-A1, F50SV-A2, F50SV-X4C, F5104A, F5C, F5GL, F5M, F5N, F5R, F5RI, F5SL, F5Sr, F5V, F5VL, F5Z, F5RL, F6, F6E, F7, F7000, F7400, F7E, F7F, F7Kr, F7L, F7Se, F7Sr, F7z, F8, F80, F80Cr, F80L, F80Q, F80S, F81, F81Se F9, F8Dc, F8P, F8Sa, F8Sg, F8Sn, F8Sp, F8Sr, F8Sv, F8Tr, F8Va, F8Vr, F9F, F9J , F9, F9Dc, F9F, F9J, F9S, F9Sg, F9E, K40, K40AB, K40C, K40IJ-A1, K40IN-A1, K40IN-B1, K40IJ, K40IJ-E1B, K40IN, K42F, K42F-A1, K42F-A2B, K50IJ, K50IJ-D2, K50IJ-F1B, K50IJ-RX05, K50IN, K52F, K52JB, K50, K50AB, K50IJ-A1, K50IJ-B1, K50IJ-C1, L2B, L2E, L2, L2B, L2E, L3C , L3, L3000, L3000C, L3000D, L3000H, L3000S, L3000Tp, L31, L3100, L32,L3200, L34, L3400, L35, L3500, L3800, L3C, L3D, L3H, L3S, L3Tp, L3400C, L34C, L4E, L4H, L4R , L4500, L4500R, L4E, L4000E, L5, L5000, L5000C, L5000D, L5000DF, L5000G, L5000GA, L5000GM, L5000GX, L5500C,L5500D, L5500DF, L5500G, L5500GA, L5500GM, L5500GX, L55C, L55D, L55DF, L55G, L55GA, L55GM, L55GX, L5800, L5800C, L5800D, L5800DF, L5800G, L5800GA, L5800GM, L5800GX, L58C, L58D, L58DF, L58G, L58GA, L58GM, L58GX, L5900, L5900C, L5900D, L5900DF, L5900G, L5900GA, L5900GM, L5900GX, L59C, L59D, L59DF, L59G, L59GA, L59GM, L59GX, L5C, L5D, L5DF, L5G, L5GA, L5GM, L5GX, L8400, VX1,SW1 VBI, U1E, U1F, U2E, U6E, M2C, M2E, M2N, M2Ne, M2, M2000, M2000A, M2000C, M2000E, M2000N, M2000Ne, M2400, M2400A, M2400C, M2400E, M2400N, M2400NE, M2422N, M2442N, M2C, M2E, M2N, M2Ne, M2A, M24, M2400, M2400A, M2400E, M2400N, M2400NE, M24A, M24E, M24N, M3N, M3Np , M3, M3000, M3000N, M3000NP, M3N, M50, M5000A, M50Sa, M50Sr, M50Sv, M50Vc, M50Vm, M50Vn, M51, M51A, M51Kr, M51Se, M51Sn, M51Sr, M51Ta, M51Tr, M51Va, M51Vr, M5200A, M5200Ae, M52A, M52Ae, M6A, M6Ae, M6C, M6Ce, M6N, M6Ne, M6R, M6V , M6, M6000, M6000A, M6000C, M6000Ce, M6000N, M6000Na, M6000Ne, M6000R, M6000RF, M6000V, M6000Va, M67, M6700, M6700A, M6700C, M6700Ce, M6700N, M6700Na, M6700Ne, M6700R, M6700RF, M6700V, M6700Va, M6706H, M6722H, M6722R, M6742H, M6762H, M67A, M67C, M67Ce, M67N, M67Na, M67Ne,M67R, M67RF, M67V, M67Va, M68, M6800, M6800A, M6800C, M6800Ce, M6800N, M6800Na, M6800Ne, M6800R, M6800RF, M6800V, M6800Va, M6802N, M6806N, M6822N, M6842N, M6862N, M68A, M68C, M68Ce, M68N, M68Na, M68Ne, M68R, M68RF, M68V, M68Va, M6A,M6BR, M6C, M6Ce, M6Na, M6Ne, M6R, M6RF, M6V, M6Va, M6000BN, M6000BNe, M6A, M6BNe, M6Ne, M70, M70Sa, M70Sr, M70T, M70Vm, M70Vn, M70Vr, M9A, M9F, M9J, M9V, M9, N10E, N10J, N10Jc, P50IJ, P50IJ-X1, P50IJ-X2, P80, P80Vc, R1E, R1F, S1N , S13N, S1000, S1000A, S1000B, S1000N, S13, S1300, S1300A, S1300B, S1300N, S13A, S13B, S13N, S1A, S1B, S1N, S2, S5A, S5Ae , S5, S5000, S5000A, S5000N, S5000Ne, S5000NP, S5A, S5N, S5Ne, S5NP, S6F, S6F Leather Collection, S6Fm , S6F, S6Fm, S7F , S96F, S96Fm VBI, U3, U3S, U3Sg, U5, U5A, U5F, U6, U6S, U6Sg, U6V, U6Vc, U1E, U1F, U2E, U50A, U50F, U50G, U6E, U80A, U80V, U81A, U8A, U8V, UK80V, UL20, UL20A, UL20A-A1, UL30V, UL30Vt, UL30VT-A1, UL50, UL50A, UL50Ag, UL50Ag-A2, UL50Ag-A3B, UL50V, UL50Vs, UL50Vs-A1B, UL50Vt, UL50Vt-A1, UL80, UL80A, UL80Ag, UL80Ag-A1, UL80Ag-A2B, UL80Vt, UL80Vt-A1, UX50v, U1F , U5A, U5F , V6J, V6V, V6Va , V6000J, V6000Va, V6J, V6Va, V68, V6800, V6800V, V68V, Lamborghini VX1 , W1Ga, W1Gc, W1N, W1Na , W1000, W1000N, W3A, W3N, W3V, W3Z, W3, W3A, W3Z, W5A, W5Ae, W5F, W5Fe, W5Fm , W5000AF, W5000F, W5000Fe, W5000Fm, W5Fe, W5Fm, W5, W5000, W5000A, W5000AE, W6A, W6F, W6Fp , W6, W6F, W6FP, W7F , W7, W7Fp, W7S, W7Sg, W7F, X51, X50, X50GL, X50R, X50RL, X51H, X51L, X51R, X51RL, X58L, X50RL , X51R , Z33, Z3300, Z3300A, Z33A, Z33Ae, Z3, Z3A, Z3 , Z35, Z3500, Z3500Fm, Z35Fm, A61Ae, Z6100A, Z6100Ae, Z61A, Z6300A, Z63A, Z7000, Z7000A, Z7000N, Z7000Ne, Z7000V, Z7000Va, Z70A, Z70N, Z70Ne, Z70V, Z70Va, Z7, Z71, Z7100, Z7100A, Z7100V, Z7100Vp, Z71A, Z71V, Z71Vp, Z8400F, Z84F, Z9, Z90, Z9000, Z9000R, Z90R, Z9100A, Z9100Ac, Z9100E, Z9100F, Z9100Fc, Z9100N, Z91A, Z91Ac, Z91E, Z91F, Z91Fc, Z91N, Z9100, Z9100ER, Z9100G, Z9100L, Z91ER, Z91G, Z91L, Z9200, Z9200Km, Z92Km, Z92, Z9200G, Z9200L, Z9200Ne, Z9200U, Z9200Va, Z92G, Z92L, Z92Ne, Z92U, Z92Va, Z9300E, Z93E, Z93, Z9300, Z9600F, Z9600Fm, Z96F, Z96Fm, Z99, Z9R. Packard Bell: EasyNote R1000, EasyNote R1004, EasyNote R1005, EasyNote R1800, EasyNote R1801, EasyNote R1805, EasyNote R1903, EasyNote R1904, EasyNote R1905, EasyNote R1908, EasyNote R1910, EasyNote R1936, EasyNote R1938, EasyNote R1978, EasyNote R1980, EasyNote R1984, EasyNote R1994, EasyNote R1996, EasyNote R2, EasyNote R2000, EasyNote R2120, EasyNote R2125, EasyNote R2126, EasyNote R2127, EasyNote R2314, EasyNote R2550, EasyNote R2551, EasyNote R2552, EasyNote R2554, EasyNote R2561, EasyNote R2562, EasyNote R2563, EasyNote R3, EasyNote R3024, EasyNote R3235, EasyNote R3320, EasyNote R3321, EasyNote R3340, EasyNote R3400, EasyNote R3400, EasyNote R3403, EasyNote R3423, EasyNote R3450, EasyNote R3453, EasyNote R3454, EasyNote R3500, EasyNote R3810, EasyNote R3811, EasyNote Argo C , EasyNote Argo C2, Easy note B3101, EasyNote B3, EasyNote B3100, EasyNote B3110, EasyNote B3222, EasyNote B3223, EasyNote B3225, EasyNote B3227, EasyNote B3240, EasyNote B3255, EasyNote B3265, EasyNote B3285, EasyNote B3290, EasyNote B3300, EasyNote B3307, EasyNote B3308, EasyNote B3310, EasyNote B3312, EasyNote B3340, EasyNote B3350, EasyNote B3510, EasyNote B3520, EasyNote B3521, EasyNote B3529, EasyNote B3540, EasyNote B3550, EasyNote B3600, EasyNote B3605, EasyNote B3620, EasyNote B3700, EasyNote B3800, EasyNote B3811, EasyNote D5142, EasyNote C3202 , EasyNote C3205 , EasyNote C3223 , EasyNote C3227 , EasyNote C3253 , EasyNote C3255 , EasyNote C3265 , EasyNote C3300 , EasyNote C3302, EasyNote D5, EasyNote D5138, EasyNote D5138, EasyNote D5142, EasyNote D5146, EasyNote D5146, EasyNote D5610, EasyNote D5610, EasyNote D5710, EasyNote D5710, EasyNote D5712, EasyNote D5720, EasyNote D5720, EasyNote D5725, EasyNote D5725, EasyNote F1236 , EasyNote F1245 , EasyNote F2287 , EasyNote F2331 , EasyNote F2365 , EasyNote F2465 , EasyNote F2466 , EasyNote F2467 , EasyNote F2468 , EasyNote G1320 , EasyNote G1340 , EasyNote G1345W, EasyNote G1350 , EasyNote GN25 , EasyNote GN45, EasyNote GN45-032 , EasyNote GN45-P-050 , EasyNote MX35 , EasyNote MX36 , iGo 2000 , iGo 2000ER , iGo 2142 , iGo 2185 , iGo 2440 , iGo 2441 , iGo 2442 , iGo 2451 , iGo 2461 , iGo 2491 , iGo 4000 , iGo 4000ER , iGo 4450 , iGo 4451 , iGo 5451 , iGo 5453 , iGo 5461 , iGo 5562 , iGo 5581, iPower 5138 , iPower 5254 , iPower 5264 , iPower 5305 , iPower 5541 , iPower 5542 , iPower 5641. 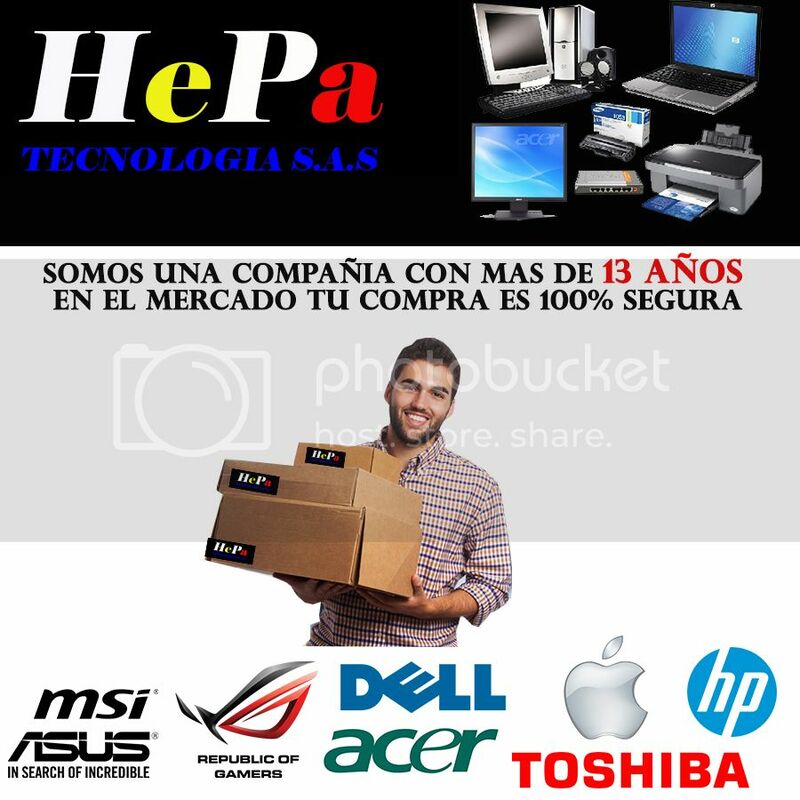 Toshiba: Satellite A110, Satellite A60, Satellite L10, Satellite L20, Satellite L20-101, Satellite L20-112, Satellite L20-118, Satellite L20-120, Satellite L20-121, Satellite L20-153, Satellite L20-155, Satellite L20-157, Satellite L20-159, Satellite L20-173, Satellite L20-188, Satellite L20-196, Satellite L20-205, Satellite L20-217, Satellite L20-256, Satellite L20-257, Satellite L20-260, Satellite L20-267, Satellite L20-268, Satellite L20-S310TD, Satellite L25, Satellite M30X, Satellite M35X, Satellite M40, Satellite M40X, Satellite M45, Satellite M55, Satellite Pro L10, Satellite Pro L10-113, Satellite Pro L10-233, Satellite Pro L10-271, Satellite Pro L20, Satellite Pro L20-102, Satellite Pro L20-103, Satellite Pro L20-137, Satellite Pro L20-174, Satellite Pro L20-211, Satellite Pro L20-258, Satellite Pro L20-259, Satellite Pro L25, Satellite SL15. Lenovo: ESSENTIAL B470 (Modelo 4315), ESSENTIAL B570 (Modelo 1068), ESSENTIAL B570e, ESSENTIAL G460A, ESSENTIAL G460G , ESSENTIAL G460L (Modelo 0677), ESSENTIAL G470 (Modelo 4328), ESSENTIAL G475 (Modelo 4360), ESSENTIAL G480 (Modelo 2184), ESSENTIAL G480 (Modelo 2688), ESSENTIAL G550e (Modelo 1050), ESSENTIAL G560 (Modelo 0679), ESSENTIAL G570 (Modelo 4334), ESSENTIAL G575 (Modelo 4383), ESSENTIAL G580 (Modelo 2189), ESSENTIAL G580 (Modelo 0689), ESSENTIAL G770 (Modelo 1037), ESSENTIAL G780 (Modelo 2182), ESSENTIAL M30-70 , ESSENTIAL V370 (Modelo 4393), ESSENTIAL V470 (Modelo 4396), ESSENTIAL V570 (Modelo 1066), IDEAPAD P500 , IDEAPAD S200 , IDEAPAD S300 , IDEAPAD S400, IDEAPAD U310, IDEAPAD U410, IDEAPAD U510, IDEAPAD V460 (Modelo 0866), IDEAPAD V560 (Modelo 4342), IDEAPAD V570 (Modelo 1066), IDEAPAD Y450 (Modelo 2781), IDEAPAD Y450 (Modelo 4189), IDEAPAD Y460, IDEAPAD Y460N (Modelo 0633), IDEAPAD Y470 (Modelo 0855), IDEAPAD Y560A (Modelo 0646), IDEAPAD Z400, IDEAPAD Z470 (Modelo 0855), IDEAPAD Z500, IDEAPAD Z565A (Modelo 4311), IDEAPAD Z585 (Modelo 2617). Cargador de Portatil Homologado Alta Calidad Para Toshiba, Lenovo, Asus, Acer Voltaje de entrada: 100/240 V Voltaje de salida: 19V Amperaje de salida: 3.42A (65w) Cable de Poder: Cable Plano Tipo Trebol Dimensiones de la clavija: Exterior: 5.5 mm Interior: 2.5 mm Garantia: Dos (2) Años Compatible con las siguientes referencias: Toshiba: PA3467E-1AC3, PA3467E-1ACA, PA3467U-1ACA, PA3097U-1ACA, PA3396U-1ACA, PA-1650-01, PA-1650-02, PA-1900-15, ADP45CB, ACE83-110087-3100, ACE83-110114-7000, ACE83-110114-7100, ACE83-110128-0200. Toshiba Satellite: A105 Series A105 / A105-S101 / A105-S1012 / A105-S1013 / A105-S1014 / A105-S101X / A105-S171 / A105-S1712 / A105-S171x / A105-S2001 / A105-S2011 / A105-S2021 / A105-S2031 / A105-S2051 / A105-S2061 / A105-S2071 / A105-S2081 / A105-S2091 / A105-S2101 / A105-S2111 / A105-S2121 / A105-S2131 / A105-S2141 / A105-S2194 / A105-S2201 / A105-S2204 / A105-S2231 / A105-S2236 / A105-S271 / A105-S2712 / A105-S2713 / A105-S2716 / A105-S2717 / A105-S2719 / A105-S271X / A105-S361 / A105-S3611 / A105-S361X / A105-SP2012 / A105-SP461 Toshiba Satellite A110 Series A110-101 / A110-177 / A110-178 / A110-203 / A110-260 / A110-289 / A110-339 / A110-370 Toshiba Satellite A130 Series A130 / A130-ST1311 / A130-ST1313 Toshiba Satellite A135 Series A135 / A135-S2246 / A135-S2256 / A135-S2266 / A135-S2276 / A135-S2286 / A135-S2296 / A135-S2306 / A135-S2326 / A135-S2346 / A135-S2356 / A135-S2376 / A135-S2386 / A135-S2396 / A135-S4407 / A135-S4417 / A135-S4427 / A135-S4437 / A135-S4447 / A135-S4457 / A135-S4467 / A135-S4477 / A135-S4478 / A135-S4487 / A135-S4488 / A135-S4499 / A135-S4517 / A135-S4527 / A135-S4656 / A135-S4677 / A135-S4827 / A135-SP4016 / A135-SP4036 / A135-SP4048 / A135-SP4058 / A135-SP4088 / A135-SP4108 / A135-SP4156 Toshiba Satellite A200 Series A200-10W / A200-10X / A200-10Z / A200-11C / A200-12F / A200-13L / A200-13O / A200-13R / A200-13T / A200-13U / A200-14D / A200-14E / A200-180 / A200-18T / A200-19I / A200-19K / A200-19M / A200-1A9 / A200-1AA / A200-1AB / A200-1AE / A200-1Ai / A200-1BP / A200-1BW / A200-1CC / A200-1CR / A200-1DA / A200-1DN / A200-1DQ / A200-1FJ / A200-1G6 / A200-1GD / A200-1HU / A200-1M7 / A200-ST2041 / A200-ST2043 Toshiba Satellite A205 Series A205 / A205-S4537 / A205-S4557 / A205-S4567 / A205-S4577 / A205-S4578 / A205-S4587 / A205-S4597 / A205-S4607 / A205-S4617 / A205-S4618 / A205-S4629 / A205-S4638 / A205-S4639 / A205-S4647 / A205-S4707 / A205-S4777 / A205-S4797 / A205-S7456 / A205-SP4038 / A205-SP4068 Toshiba Satellite A215 Series A215-S4697 / A215-S4717 / A215-S4737 / A215-S4747 / A215-S4757 / A215-S4767 / A215-S4807 / A215-S4817 / A215-S48171 / A215-S7407 / A215-S7408 / A215-S7414 / A215-S7418 / A215-S7421 / A215-S7422 / A215-S7427 / A215-S7433 / A215-S7437 / A215-S7444 / A215-S7447 / A215-S7462 / A215-SP401 Toshiba Satellite A85 Series A80-S178 / A85-S107 / A85-S1071 / A85-S1072 / A85-SP107 / A85-SP1072 Toshiba Satellite L10 Series L10-100 / L10-101 / L10-104 / L10-105 / L10-130 / L10-154 / L10-190 / L10-194 / L10-226 / L10-272 / L10-SP104 Toshiba Satellite L15 Series L15 / L15-S104 / L15-S1041 / L15-SP104 / L15-SP1041 Toshiba Satellite L20 Series L20-101 / L20-112 / L20-118 / L20-120 / L20-121 / L20-135 / L20-155 / L20-157 / L20-159 / L20-173 / L20-188 / L20-205 / L20-256 / L20-S310 / L20-S310TD / L20-SP119 / L20-SP131 / L20-SP131 / L20-SP231 / P205-S6237 Toshiba Satellite L25 Series L25 / L25-S119 / L25-S1192 / L25-S1193 / L25-S1194 / L25-S1195 / L25-S1196 / L25-S121 / L25-S1212 / L25-S1213 / L25-S1215 / L25-S1216 / L25-S1217 / L25-SP121 / L25-SP129 / L25-SP139 / L25-SP141 / L25-SP151 Toshiba Satellite L30 Series L30 / L30-10P / L30-114 / L30-115 / L30-11E / L30-11H / L30-134 / L30-140 / L30-142 Toshiba Satellite L35 Series L35 / L35-S1054 / L35-S2151 / L35-S2161 / L35-S2171 / L35-S2174 / L35-S2194 / L35-S2316 / L35-S2366 / L35-SP1011 / L35-SP2011 / L35-SP2031 / L35-SP2041 / L35-SP2051 / L35-SP2071 / L35-SP4016 / L35-SP4068 / L35-SP4086 / L35-SP4096 / L35-SP4116 Toshiba Satellite L45 Series L45-S2416 / L45-S4687 / L45-S7409 / L45-S7419 / L45-S7423 / L45-S7424 / L45-SP2036 / L45-SP2046 / L45-SP2056 / L45-SP2066 / L45-SP4016 Toshiba Satellite M105 M115 Series M105-S1xxx, M115-S1xxx series, M105-S1011 / M105-S1021 / M105-S1031 / M105-S1041 / M105-S10xx / M105-SP1011 / M105-SP1021 / M105-SP1031 / M105-SP1041 / M115-S1061 / M115-S1064 / M115-S1071 / M115-S1074 Toshiba Satellite M200 M205 Series M200-ST2002 / M205-S3207 / M205-S3217 / M205-S7452 / M205-S7453 Toshiba Satellite M30X Series M30X / M30X-1593 / M30X-214 / M30X-40 / M30X-60 / M30X-80 / M30X-S114 / M30X-S1592 / M30X-S1593 / M30X-S171 / M30X-S181 / M30X-S191 / M30X-S214 / M30X-S221 / M30X-s234 / M30X-SP111 / M30X-SP114 Toshiba Satellite M35X Series M35X / M35X-114 / M35X-149 / M35X-S109 / M35X-S111 / M35X-S114 / M35X-S1141 / M35X-S1142 / M35X-S1143 / M35X-S149 / M35X-S1491 / M35X-S1492 / M35X-S161 / M35X-S1611 / M35X-S163 / M35X-S1631 / M35X-S309 / M35X-S3091 / M35X-S311 / M35X-S3111 / M35X-S3112 / M35X-S329 / M35X-S3291 / M35X-S349 / M35X-S3491 / M35X-SP111 / M35X-SP114 / M35X-SP161 / M35X-SP171 / M35X-SP181 / M35X-SP311 / M35X-SP349 Toshiba Satellite M40 M45 Series M40-S312TD / M45-S165 / M45-S1651 / M45-S165X / M45-S169 / M45-S1691 Toshiba Satellite M55 Series M55-S1001 / M55-S139 / M55-S1391 / M55-S139X / M55-S141 Toshiba Satellite M60 M65 Series M60-S811 / M60-S8112 / M60-S9093 / M65-S809 / M65-S8091 / M65-S8092 / M65-S821 / M65-S8211 / M65-S9062 / M65-S9063 / M65-S9064 / M65-S9065 / M65-S909 / M65-S9091 / M65-S9092 / M65-SP811 / M65-SP959 Toshiba Satellite P205 Series P205D-S7429 / P205D-S7438 / P205D-S7439 / P205D-S7454 / P205-S6237 / P205-S6247 / P205-S6257 / P205-S6267 / P205-S6287 / P205-S6297 / P205-S6298 / P205-S6307 / P205-S6337 / P205-S6347 / P205-S6348 / P205-S7469 / P205-S7476 Toshiba Satellite U305 Series U305 / U305-S5077 / U305-S5087 / U305-S5097 / U305-S5107 / U305-S5117 / U305-S5127 / U305-S7432 / U305-S7446 / U305-S7448 / U305-S7467 / U305-S7477 / U305-SP5017 / U305-SP5028 / U305-SP5037 Toshiba Tecra L2 Series L2-S011 / L2-S022 Toshiba Satellite 1000 1100 1130 1200 Series 1000-S157 / 1000-S158 / 1005-S157 / 1005-S158 / 1100-S101 / 1110-S153 / 1110-SP153 / 1115-S103 / 1115-S107 / 1115-S123 / 1115-SP153 / 1130-S155 / 1130-S156 / 1135-S125 / 1135-S155 / 1135-S1551 / 1135-S1552 / 1135-S1553 / 1135-S1554 / 1135-S156 / 1200-S121 / 1200-S122 Toshiba Satellite 1600 1700 Series 1605CDS / 1625CDT / 1675CDS / 1695CDT / 1715XCDS / 1730-S101 / 1735-S101 / 1750-S202 / 1755-S202 Toshiba Satellite 3000 Series 3000-S304 / 3000-S307 / 3000-S353 / 3005-S303 / 3005-S304 / 3005-S307 / 3005-S308 / 3005-S403 Toshiba Portege R700, R705 series TOSHIBA L675D-S7052 L675D-S7052 L505-S5969 L505-S6951 Toshiba Satellite L505-S6946 Toshiba Satellite L505D-S5996, L505D-S6947, L505D-S6948 Toshiba Satellite L630 L450 L455 L505-S5988 PA3467U-1ACA Toshiba Satellite Pro L450 Series L450-W1542, L450-W1543, L510-EZ1410, L550-EZ1702, L550-EZ1703 Toshiba Satellite Pro L510 Series L510-EZ1410, L550-EZ1702, L550-EZ1703 Toshiba Satellite L630, Series Toshiba Satellite L455 L505-S5988 Toshiba Satellite 1000 A135-S7404 L505 L655D-S5109 Toshiba Satellite S75T-A73 Válido para los siguientes modelos de Asus, Packarde Bell, Toshiba y Lenovo: Asus: A2L , A2, A200, A200LP, A2C, A2H, A2L, A2LP, A3Ac, A3E, A3Fc, A3Fp, A3G, A3H, A3Hf, A3L, A3N, A3Vc, A3Vp , A3, A3000, A3A3G, A3E, A3FP, A3H, A3HF, A3L, A3N, A3VP, A3000A, A3000Ac, A3000E, A3000H, A3000L, A3000N, A3A, A3Ac, A3FC, A3VC, A5E , A5A, A5E, A5EB, A5EC, A6F, A6G, A6Jc, A6Kt, A6L, A6Ne, A6R, A6Rp, A6U , A6V, A6Va, A6Vc, A6Vm, A6, A6000, A6000G, A6000Ga, A6000K, A6000L, A6000N, A6000Ne, A6000U, A6000V, A6000Va, A6000Vc, A65, A6A, A6F, A6G, A6GA, A6J, A6JA, A6JE, A6JN, A6K, A6L, A6N, A6NE, A6R, A6RP, A6T, A6TC, A6V, A6Va, A6VC, A6VM, A6000Rp, A6U, A7, A8E, A8F, A8Fm, A8H, A8He, A8Ja, A8Jc, A8Je, A8Jn, A8Jr, A8Jv, A8M , A8, A8E, A8F, A8FM, A8H, A8HE, A8TM, A8Z, A9Rp, A9T , A9, A9RP, A9T, B50A, C90, C90S, F2F, F2Hf, F2J, F2Je , F2, F2F, F2HF, F2JE, F3F, F3H , F3, F3F, F3H, F3JA, F3JC, F3JM, F3JP, F3JR, F3Ka, F3Ke, F3L, F3Q, F3Sa, F3Sg, F3Sr, F5M, F5R , F5, F50, F50Sf-A1, F50Sf-A2,F50SV-A1, F50SV-A2, F50SV-X4C, F5104A, F5C, F5GL, F5M, F5N, F5R, F5RI, F5SL, F5Sr, F5V, F5VL, F5Z, F5RL, F6, F6E, F7, F7000, F7400, F7E, F7F, F7Kr, F7L, F7Se, F7Sr, F7z, F8, F80, F80Cr, F80L, F80Q, F80S, F81, F81Se F9, F8Dc, F8P, F8Sa, F8Sg, F8Sn, F8Sp, F8Sr, F8Sv, F8Tr, F8Va, F8Vr, F9F, F9J , F9, F9Dc, F9F, F9J, F9S, F9Sg, F9E, K40, K40AB, K40C, K40IJ-A1, K40IN-A1, K40IN-B1, K40IJ, K40IJ-E1B, K40IN, K42F, K42F-A1, K42F-A2B, K50IJ, K50IJ-D2, K50IJ-F1B, K50IJ-RX05, K50IN, K52F, K52JB, K50, K50AB, K50IJ-A1, K50IJ-B1, K50IJ-C1, L2B, L2E, L2, L2B, L2E, L3C , L3, L3000, L3000C, L3000D, L3000H, L3000S, L3000Tp, L31, L3100, L32,L3200, L34, L3400, L35, L3500, L3800, L3C, L3D, L3H, L3S, L3Tp, L3400C, L34C, L4E, L4H, L4R , L4500, L4500R, L4E, L4000E, L5, L5000, L5000C, L5000D, L5000DF, L5000G, L5000GA, L5000GM, L5000GX, L5500C,L5500D, L5500DF, L5500G, L5500GA, L5500GM, L5500GX, L55C, L55D, L55DF, L55G, L55GA, L55GM, L55GX, L5800, L5800C, L5800D, L5800DF, L5800G, L5800GA, L5800GM, L5800GX, L58C, L58D, L58DF, L58G, L58GA, L58GM, L58GX, L5900, L5900C, L5900D, L5900DF, L5900G, L5900GA, L5900GM, L5900GX, L59C, L59D, L59DF, L59G, L59GA, L59GM, L59GX, L5C, L5D, L5DF, L5G, L5GA, L5GM, L5GX, L8400, VX1,SW1 VBI, U1E, U1F, U2E, U6E, M2C, M2E, M2N, M2Ne, M2, M2000, M2000A, M2000C, M2000E, M2000N, M2000Ne, M2400, M2400A, M2400C, M2400E, M2400N, M2400NE, M2422N, M2442N, M2C, M2E, M2N, M2Ne, M2A, M24, M2400, M2400A, M2400E, M2400N, M2400NE, M24A, M24E, M24N, M3N, M3Np , M3, M3000, M3000N, M3000NP, M3N, M50, M5000A, M50Sa, M50Sr, M50Sv, M50Vc, M50Vm, M50Vn, M51, M51A, M51Kr, M51Se, M51Sn, M51Sr, M51Ta, M51Tr, M51Va, M51Vr, M5200A, M5200Ae, M52A, M52Ae, M6A, M6Ae, M6C, M6Ce, M6N, M6Ne, M6R, M6V , M6, M6000, M6000A, M6000C, M6000Ce, M6000N, M6000Na, M6000Ne, M6000R, M6000RF, M6000V, M6000Va, M67, M6700, M6700A, M6700C, M6700Ce, M6700N, M6700Na, M6700Ne, M6700R, M6700RF, M6700V, M6700Va, M6706H, M6722H, M6722R, M6742H, M6762H, M67A, M67C, M67Ce, M67N, M67Na, M67Ne,M67R, M67RF, M67V, M67Va, M68, M6800, M6800A, M6800C, M6800Ce, M6800N, M6800Na, M6800Ne, M6800R, M6800RF, M6800V, M6800Va, M6802N, M6806N, M6822N, M6842N, M6862N, M68A, M68C, M68Ce, M68N, M68Na, M68Ne, M68R, M68RF, M68V, M68Va, M6A,M6BR, M6C, M6Ce, M6Na, M6Ne, M6R, M6RF, M6V, M6Va, M6000BN, M6000BNe, M6A, M6BNe, M6Ne, M70, M70Sa, M70Sr, M70T, M70Vm, M70Vn, M70Vr, M9A, M9F, M9J, M9V, M9, N10E, N10J, N10Jc, P50IJ, P50IJ-X1, P50IJ-X2, P80, P80Vc, R1E, R1F, S1N , S13N, S1000, S1000A, S1000B, S1000N, S13, S1300, S1300A, S1300B, S1300N, S13A, S13B, S13N, S1A, S1B, S1N, S2, S5A, S5Ae , S5, S5000, S5000A, S5000N, S5000Ne, S5000NP, S5A, S5N, S5Ne, S5NP, S6F, S6F Leather Collection, S6Fm , S6F, S6Fm, S7F , S96F, S96Fm VBI, U3, U3S, U3Sg, U5, U5A, U5F, U6, U6S, U6Sg, U6V, U6Vc, U1E, U1F, U2E, U50A, U50F, U50G, U6E, U80A, U80V, U81A, U8A, U8V, UK80V, UL20, UL20A, UL20A-A1, UL30V, UL30Vt, UL30VT-A1, UL50, UL50A, UL50Ag, UL50Ag-A2, UL50Ag-A3B, UL50V, UL50Vs, UL50Vs-A1B, UL50Vt, UL50Vt-A1, UL80, UL80A, UL80Ag, UL80Ag-A1, UL80Ag-A2B, UL80Vt, UL80Vt-A1, UX50v, U1F , U5A, U5F , V6J, V6V, V6Va , V6000J, V6000Va, V6J, V6Va, V68, V6800, V6800V, V68V, Lamborghini VX1 , W1Ga, W1Gc, W1N, W1Na , W1000, W1000N, W3A, W3N, W3V, W3Z, W3, W3A, W3Z, W5A, W5Ae, W5F, W5Fe, W5Fm , W5000AF, W5000F, W5000Fe, W5000Fm, W5Fe, W5Fm, W5, W5000, W5000A, W5000AE, W6A, W6F, W6Fp , W6, W6F, W6FP, W7F , W7, W7Fp, W7S, W7Sg, W7F, X51, X50, X50GL, X50R, X50RL, X51H, X51L, X51R, X51RL, X58L, X50RL , X51R , Z33, Z3300, Z3300A, Z33A, Z33Ae, Z3, Z3A, Z3 , Z35, Z3500, Z3500Fm, Z35Fm, A61Ae, Z6100A, Z6100Ae, Z61A, Z6300A, Z63A, Z7000, Z7000A, Z7000N, Z7000Ne, Z7000V, Z7000Va, Z70A, Z70N, Z70Ne, Z70V, Z70Va, Z7, Z71, Z7100, Z7100A, Z7100V, Z7100Vp, Z71A, Z71V, Z71Vp, Z8400F, Z84F, Z9, Z90, Z9000, Z9000R, Z90R, Z9100A, Z9100Ac, Z9100E, Z9100F, Z9100Fc, Z9100N, Z91A, Z91Ac, Z91E, Z91F, Z91Fc, Z91N, Z9100, Z9100ER, Z9100G, Z9100L, Z91ER, Z91G, Z91L, Z9200, Z9200Km, Z92Km, Z92, Z9200G, Z9200L, Z9200Ne, Z9200U, Z9200Va, Z92G, Z92L, Z92Ne, Z92U, Z92Va, Z9300E, Z93E, Z93, Z9300, Z9600F, Z9600Fm, Z96F, Z96Fm, Z99, Z9R. Packard Bell: EasyNote R1000, EasyNote R1004, EasyNote R1005, EasyNote R1800, EasyNote R1801, EasyNote R1805, EasyNote R1903, EasyNote R1904, EasyNote R1905, EasyNote R1908, EasyNote R1910, EasyNote R1936, EasyNote R1938, EasyNote R1978, EasyNote R1980, EasyNote R1984, EasyNote R1994, EasyNote R1996, EasyNote R2, EasyNote R2000, EasyNote R2120, EasyNote R2125, EasyNote R2126, EasyNote R2127, EasyNote R2314, EasyNote R2550, EasyNote R2551, EasyNote R2552, EasyNote R2554, EasyNote R2561, EasyNote R2562, EasyNote R2563, EasyNote R3, EasyNote R3024, EasyNote R3235, EasyNote R3320, EasyNote R3321, EasyNote R3340, EasyNote R3400, EasyNote R3400, EasyNote R3403, EasyNote R3423, EasyNote R3450, EasyNote R3453, EasyNote R3454, EasyNote R3500, EasyNote R3810, EasyNote R3811, EasyNote Argo C , EasyNote Argo C2, Easy note B3101, EasyNote B3, EasyNote B3100, EasyNote B3110, EasyNote B3222, EasyNote B3223, EasyNote B3225, EasyNote B3227, EasyNote B3240, EasyNote B3255, EasyNote B3265, EasyNote B3285, EasyNote B3290, EasyNote B3300, EasyNote B3307, EasyNote B3308, EasyNote B3310, EasyNote B3312, EasyNote B3340, EasyNote B3350, EasyNote B3510, EasyNote B3520, EasyNote B3521, EasyNote B3529, EasyNote B3540, EasyNote B3550, EasyNote B3600, EasyNote B3605, EasyNote B3620, EasyNote B3700, EasyNote B3800, EasyNote B3811, EasyNote D5142, EasyNote C3202 , EasyNote C3205 , EasyNote C3223 , EasyNote C3227 , EasyNote C3253 , EasyNote C3255 , EasyNote C3265 , EasyNote C3300 , EasyNote C3302, EasyNote D5, EasyNote D5138, EasyNote D5138, EasyNote D5142, EasyNote D5146, EasyNote D5146, EasyNote D5610, EasyNote D5610, EasyNote D5710, EasyNote D5710, EasyNote D5712, EasyNote D5720, EasyNote D5720, EasyNote D5725, EasyNote D5725, EasyNote F1236 , EasyNote F1245 , EasyNote F2287 , EasyNote F2331 , EasyNote F2365 , EasyNote F2465 , EasyNote F2466 , EasyNote F2467 , EasyNote F2468 , EasyNote G1320 , EasyNote G1340 , EasyNote G1345W, EasyNote G1350 , EasyNote GN25 , EasyNote GN45, EasyNote GN45-032 , EasyNote GN45-P-050 , EasyNote MX35 , EasyNote MX36 , iGo 2000 , iGo 2000ER , iGo 2142 , iGo 2185 , iGo 2440 , iGo 2441 , iGo 2442 , iGo 2451 , iGo 2461 , iGo 2491 , iGo 4000 , iGo 4000ER , iGo 4450 , iGo 4451 , iGo 5451 , iGo 5453 , iGo 5461 , iGo 5562 , iGo 5581, iPower 5138 , iPower 5254 , iPower 5264 , iPower 5305 , iPower 5541 , iPower 5542 , iPower 5641. Toshiba: Satellite A110, Satellite A60, Satellite L10, Satellite L20, Satellite L20-101, Satellite L20-112, Satellite L20-118, Satellite L20-120, Satellite L20-121, Satellite L20-153, Satellite L20-155, Satellite L20-157, Satellite L20-159, Satellite L20-173, Satellite L20-188, Satellite L20-196, Satellite L20-205, Satellite L20-217, Satellite L20-256, Satellite L20-257, Satellite L20-260, Satellite L20-267, Satellite L20-268, Satellite L20-S310TD, Satellite L25, Satellite M30X, Satellite M35X, Satellite M40, Satellite M40X, Satellite M45, Satellite M55, Satellite Pro L10, Satellite Pro L10-113, Satellite Pro L10-233, Satellite Pro L10-271, Satellite Pro L20, Satellite Pro L20-102, Satellite Pro L20-103, Satellite Pro L20-137, Satellite Pro L20-174, Satellite Pro L20-211, Satellite Pro L20-258, Satellite Pro L20-259, Satellite Pro L25, Satellite SL15. Lenovo: ESSENTIAL B470 (Modelo 4315), ESSENTIAL B570 (Modelo 1068), ESSENTIAL B570e, ESSENTIAL G460A, ESSENTIAL G460G , ESSENTIAL G460L (Modelo 0677), ESSENTIAL G470 (Modelo 4328), ESSENTIAL G475 (Modelo 4360), ESSENTIAL G480 (Modelo 2184), ESSENTIAL G480 (Modelo 2688), ESSENTIAL G550e (Modelo 1050), ESSENTIAL G560 (Modelo 0679), ESSENTIAL G570 (Modelo 4334), ESSENTIAL G575 (Modelo 4383), ESSENTIAL G580 (Modelo 2189), ESSENTIAL G580 (Modelo 0689), ESSENTIAL G770 (Modelo 1037), ESSENTIAL G780 (Modelo 2182), ESSENTIAL M30-70 , ESSENTIAL V370 (Modelo 4393), ESSENTIAL V470 (Modelo 4396), ESSENTIAL V570 (Modelo 1066), IDEAPAD P500 , IDEAPAD S200 , IDEAPAD S300 , IDEAPAD S400, IDEAPAD U310, IDEAPAD U410, IDEAPAD U510, IDEAPAD V460 (Modelo 0866), IDEAPAD V560 (Modelo 4342), IDEAPAD V570 (Modelo 1066), IDEAPAD Y450 (Modelo 2781), IDEAPAD Y450 (Modelo 4189), IDEAPAD Y460, IDEAPAD Y460N (Modelo 0633), IDEAPAD Y470 (Modelo 0855), IDEAPAD Y560A (Modelo 0646), IDEAPAD Z400, IDEAPAD Z470 (Modelo 0855), IDEAPAD Z500, IDEAPAD Z565A (Modelo 4311), IDEAPAD Z585 (Modelo 2617).